After nearly five months of competition in the form of more than eight tennis and paddle tennis at the Club de Tenis Totana held, as is traditionally the last Friday of June, the grand finale and awards ceremony of Social Championship, VIII Trophy Hegemon. 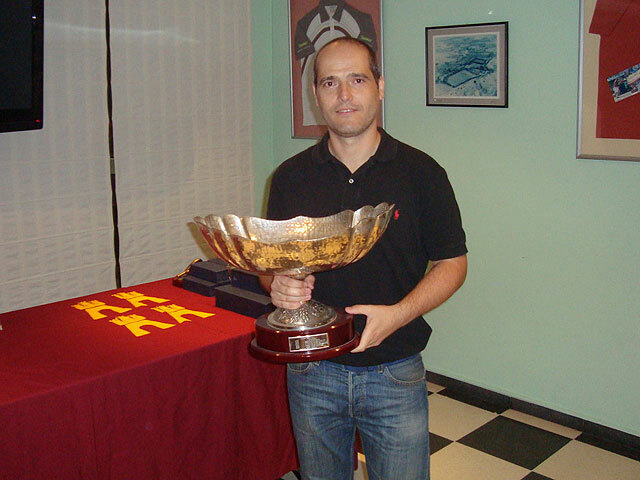 This time Luis Nicolas won the final with Paco Bonilla, by a score of 6 / 4 6 / 3, rising well with his fourth trophy of the eight disputed Hegemon also have been present in the final eight meetings. In this way, hold the title of Hegemon player Tennis Club next season. In the paddle method, were José Antonio Sánchez and Antonio Jesús Rodríguez those who got the top spot in the Super League season finale, and Pepe Pelegrín Pier being the runners-Cánovas. A year on, the social event of the Tennis Club has received nearly a hundred participants, who shared after the trophy ceremony farewell dinner tennis course, as the competition resumes next September with new tournaments different formats.